Layer apples in the bottom of a round silicone cake tin (or a spring form tin lined with foil). 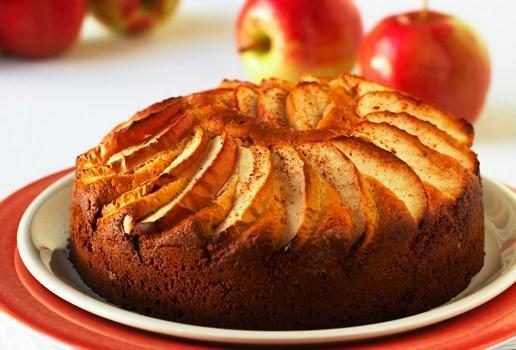 Sprinkle cinnamon sugar over the apples and set aside for a few minutes. Preheat oven to 160 C / Gas 2 1/2. Mix all the batter ingredients together and use to cover the apples. Bake in preheated oven for about 45 minutes. Let cool in tin for 10 minutes, then invert cake and remove tin.